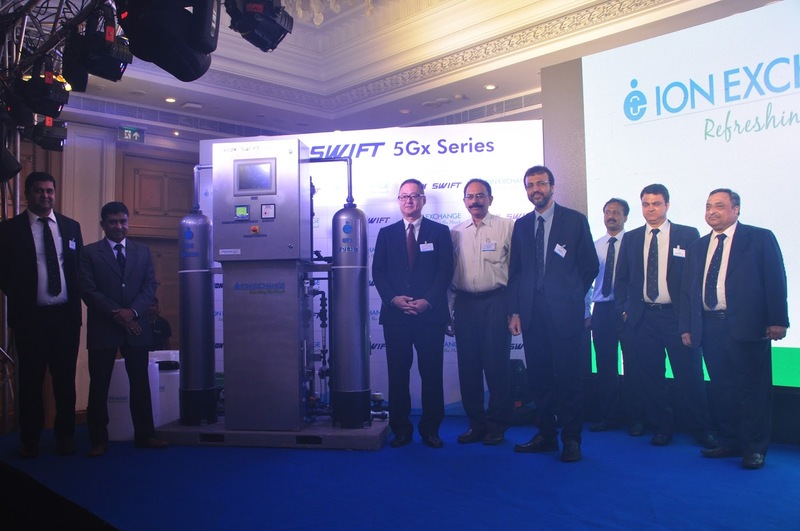 Industry leaders in water treatment, liquid waste management and environment solutions, Ion Exchange (India) Limited today announces the launch of INDION SWIFT 5Gx – a high purity water generation product catering to the special needs of the pharmaceutical industry. The product has been designed in consultation with pharmaceutical engineers and end users for maximum performance. This launch marks the company’s expansion of its product line for the sector within its ‘INDION’ purified water systems range. INDION SWIFT 5Gx improves efficiency and purity by introducing a new and unique technology which uses ‘Uniform Particle Size’ resins instead of the conventional resins otherwise used in water treatment and purification. The new product uses a short-cycle regeneration method and takes up to 35 minutes only in order to regenerate as compared to other available conventional products which have an average time of 8 hours for a single regeneration cycle. The product is a first of its kind for the pharmaceutical sector and with validation package. INDION SWIFT 5Gx is fully automatic and has minimum bacteria build-up due to its short cycle. The product is also entirely compliant with latest USP & Eur. specifications and with GAMP & ISPE design standards. The INDION range by Ion Exchange is known for complete pure water generation package and is pre-validated to industry accepted standards. Ion Exchange has been a preferred and trusted partner to the pharma sector for water treatment and purification across the world. In addition to high purity water solutions for the pharma and biotech sectors, Ion Exchange is also a specialist in ion exchange resins used for water applications and non-water applications i.e. excipients in pharmaceutical formulations, and polymeric adsorbents. It also offers a complete range of reverse osmosis membranes from its state-of-the-art integrated manufacturing facility in Goa. Other areas of specialization are Zero Liquid Discharge Systems, Raw Water Treatment Systems, Waste Water Treatment and Recycle Systems, and Sewage Treatment Plants. Additionally, it offers ASTOM, Japan’s wide range of Electro Deionisation Reversal/Diffusion Dialysis Membrane & Systems for Separation, Purification applications.